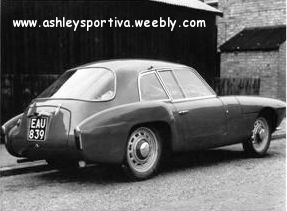 This Ashley Sportiva was built by and belonged to Gerry White's Dad in 1960's, it was sold and last known to be in the Peterborough area. 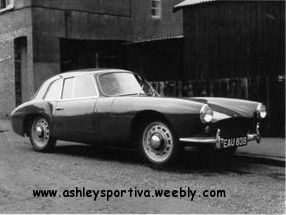 Hi, back in the early 1960's my dad, a mechanic, bought himself an Ashley Sportiva bodyshell and proceeded to build up his dream car. He always wanted an Aston Martin but couldn’t afford one, so he built the Sportiva as it had the same basic shape as the Aston. He basically did the same mods as you and always claimed it would do a 100mph and 50mpg. The car was eventually sold to a friend in Peterborough and we lost track of it. I have posted an inquiry on the Fairthorpe S.C.C.website to see if anybody knows it's whereabouts, if it still exists, but have had no luck. Do you know of any other lines of enquiry I might pursue as I have photos and the rego no. 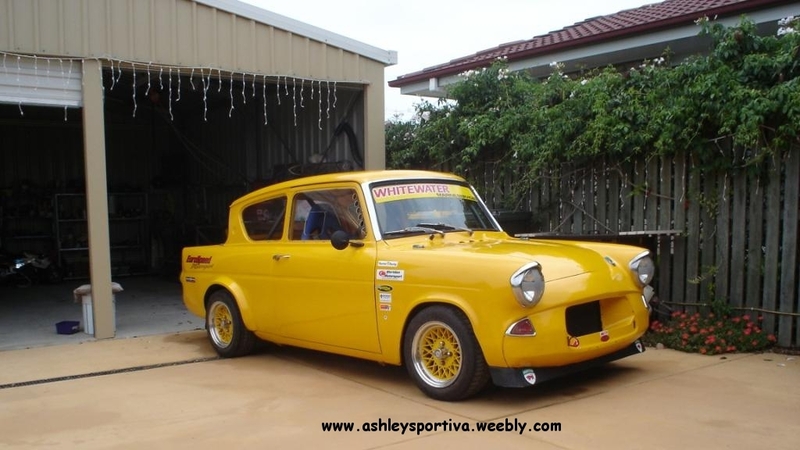 I too live in Australia, in Hervey Bay Qld and have inherited my fathers love of cars having just completed a 1961 Ford Anglia for sprints and hill-climbing, I think my dad would have approved, anyway if you can help me or just want a chat please contact me. Gerry told me in a later email that the car was originally RED but believes it was painted British Racing Green by the purchaser of the car when Gerry's dad sold it. The car Gerry has built a 1961 Ford Anglia is shown in this picture, I only realised that he had attached the picture to his email later when I was re reading it ready to add it to this page.